Reuters) - The House of Representatives announced on Friday its agenda for its 15th session scheduled for Saturday. "The agenda of the session includes voting on the formation of a fact-finding committee on the project of the Central Bank building," the media department said in a statement received by Mawazine News. "It also includes a vote on the judges who are candidates for the Federal Court of Cassation and a general topic for discussion on camps for displaced people and cities that have been hit by the floods," she said. 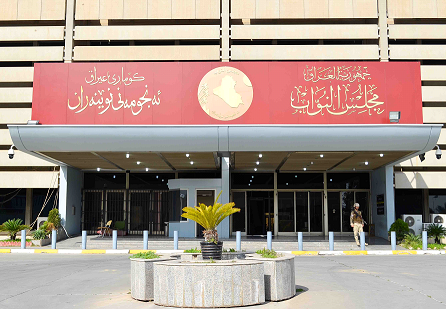 The House of Representatives on Saturday, the Finance Committee parliamentary "exclusively" to investigate the facts regarding the draft building of the Central Bank of Iraq. A parliamentary source said in an interview with Alsumaria News, "It was agreed that the Finance Committee exclusively is the competent committee as a fact-finding committee on the Central Bank." It is worth mentioning that the alliance of Sawsan Talib, last Wednesday, to open an investigation on the cost of the project building of the Central Bank in the area of ​​Jadiriyah, central Baghdad. A billionaire, entrepreneur and real estate developer who has founded a real estate empire in America and 12 countries and made an organization with his own name running his nearly $ 4 billion in funds that he is the US president Donald Trump. Tower and Hotel Trump "International" The skyscraper, located in the city of Chicago, consists of "92" floors and a height of "423 m", including apartments, offices, lounges and a huge garage for cars, completed between "2005-2009" at a cost of "847" million This building features steel and stained glass. Located in the center of New York City opposite the United Nations Headquarters, the 58-storey building is located at the height of the 262-meter-tall building, completed in 2001 with apartments, offices, halls, restaurants and a large garage costing $ 300 million. The dollar was said to be "371" million. The Trump Plaza project Jersey City, the tallest tower in New Jersey, consists of two towers consisting of 55 apartments consisting of 445 apartments, the second consisting of 417 apartments. The cost of this project is estimated at 450 million dollars. Trump owns the Mara Lag Resort in Florida, with a large palace, 58 bedrooms and 33 bathrooms, worth 150 million dollars. In 1995, Trump bought the American president's skyscraper. 40 Wall Street, the world's tallest building in 1930, now costs $ 345 million. The building of the new Central Bank of Iraq under construction is located in Jadriya Baghdad near the Babylon Hotel. It consists of 37 floors and 172 meters high. It includes offices, meeting rooms and conferences, a museum, a green spaces and squares, gold and currency safes and parking. , A monument to Iraqi architect Zaha Hadid, designed for $ 30 million, and the construction of the $ 800 million building. If we compare the building of the Central Bank of Iraq in one of the towers of Trump "skyscrapers" you will find out the extent of corruption and embezzlement of funds in this building, and accompanied by the governor of the Central Bank, whatever the "Sinan Shabibi" or "Ali Alalak" contracted this amount "830 million dollars with Trump Real estate, would have created us with this amount building such as Trump Tower "International" in Chicago! The deputy of the coalition 'Saron', Abbas Aliwi, Saturday, that the fact-finding committee to consider the 'draft building of the Central Bank', will discuss the value of the construction contract. Alawi said in a press statement that a fact-finding committee had been set up by the members of the parliamentary legal committee, which opened the door to members of the House of Representatives to join them in order to check the contract between the Central Bank and the Azerbaijani Company. He also pointed out that the committee will discuss the value of the contract estimated at 800 million dollars, and why it is not awarded to leading housing and reconstruction companies in this area. He added that the fact-finding committee will reveal all the details of this contract in the coming days, because the money spent or allocated to the project of the Central Bank building 'fictional', and must be followed closely. 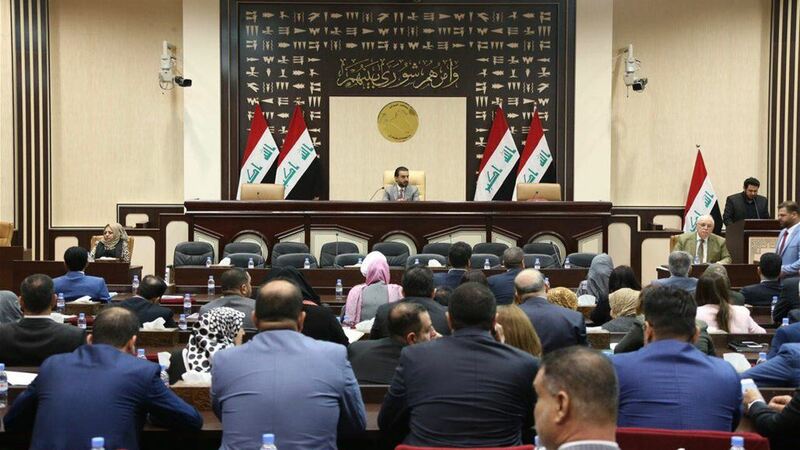 The House of Representatives has voted, on Saturday, the formation of a fact-finding committee on the draft building of the Central Bank of Iraq. is noteworthy that the Central Bank of Iraq was signed in January 2012, a contract with the Office of the late architect Zaha Hadid to develop designs for the new bank building. The world-famous Iraqi engineer has designed it to match international buildings, leaving the choice of the company executing this design for the advisory bodies of the bank, because of the austerity and expenses of the war against 'Da'ash'. Eighteen companies had applied for this design, and under the legal procedures followed, 4 companies remained competitive. Engineer Saleh Mahoud Salman, Director General of the Central Bank of Iraq, pointed out in an earlier interview in 2017 that Zaha's reaction was very positive and enthusiastic, because the design of the Central Bank building was the first project to be designed inside Iraq. For his part, the former deputy, Nazem al-Saadi, expressed surprise at the intention of the Central Bank construction of a building of this amount, pointing out that it was spent on the restoration of the current building about 70 million dollars. Saadi said: 'We are surprised at the intention of the Central Bank to build a new building worth 850 million dollars, equivalent to one trillion Iraqi dinars,' indicating that this amount can complete all the water and sewage projects and schools, which faltered because of the financial crisis experienced by the country. He added: 'It was better to allocate these amounts to pay the dues of farmers and contractors'. It is noteworthy that the governor of the Central Bank of Iraq by proxy, Ali Alalak, had revealed last week of the damage of cash by about 7 billion dinars, or about 6 million dollars, during the rains in 2013. The political body of the Sadrist movement, on Monday, the approval of the House of Representatives to form an investigative committee on suspicions of corruption affecting the draft building of the Central Bank and the special currency also in the Central Bank and the destruction of billions in Rafidain Bank. The body said on its official website, that the House of Representatives approved the formation of a parliamentary committee composed of members of the alliance, which are each of Naji al-Saidi and Anam Khuzaie and Majid al-Waeli to investigate the project building the central bank and the currency and the 'dumping' billions within Rafidain Bank. She added that the committee will also examine the monetary policy and disclosure of financial violations that occurred in previous years.